Both cats and dogs can become diabetic. 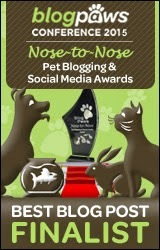 Some pet owners are not aware that this can happen to their beloved furry companions. While diabetes cannot be cured, it is certainly manageable with proper veterinary care and regulation. Since November is National Pet Diabetes Month, we're sharing some information about pet diabetes so that pet owners can know what to look for. First, it's important to know the basics of diabetes in pets. Specifically, Diabetes Mellitus Types I and II. Type I Diabetes Mellitus commonly affects dogs and occurs when your pet's pancreas does not make enough insulin. When this happens, insulin injections must be given daily. Insulin is a hormone that is produced in the pancreas that regulates the amount of glucose in the bloodstream. Type II Diabetes Mellitus occurs when the pancreas produces some insulin, but it's not enough or the body can't use it properly. Cats are often affected by Type II Diabetes Mellitus. Insulin injections are also the treatment of choice for this type of diabetes. The good news is that Type II diabetes can go into a remission of sorts and not require treatment for the entirety of the pet's life. Knowing the signs and symptoms of diabetes can help pet owners catch this illness early on. Increased urination can mean more accidents inside the house. Increased appetite - your pet may always act like they are starving. Obese pets are prone to getting diabetes. Lethargy, which means overall weakness or inactivity. Strange gait in cats. Some cats will walk flat on the hocks of their back feet. Poor fur quality or hair loss. Diabetes can cause cataracts in dogs, which can ultimately lead to blindness. As listed above, obese pets are prone to diabetes. That's why it's important to monitor their weight, diet, and exercise. By allowing your pet to live a healthy lifestyle early on, you are helping prevent disease later on in their life. Diabetes is not a death sentence for your pet and is highly manageable. After being diagnosed, a veterinarian will prescribe a dose of daily insulin injections for your dog or cat. Often, insulin injections are given twice a day. While this might seem scary to someone who's never done it before, it's really easy. 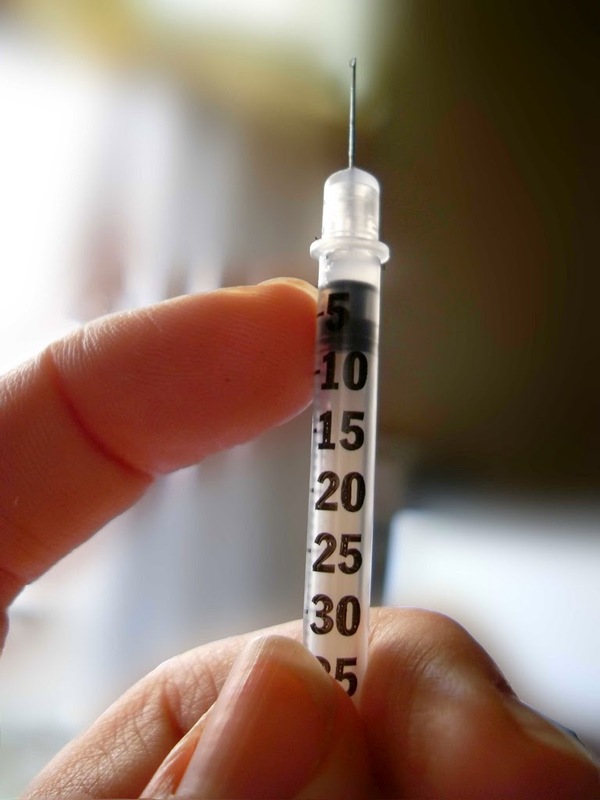 Insulin syringes are very tiny and the injection takes only seconds. Your dog or cat will need to have glucose curve tests performed on a regular basis by the veterinarian to make sure they are receiving the proper amounts of insulin. Your pet's dose of insulin may change over time, so that's why it's important to follow your vet's instructions with blood glucose tests. 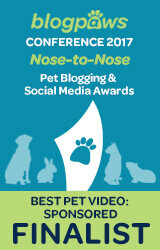 Pet owners can even test their pet's blood glucose levels at home too. 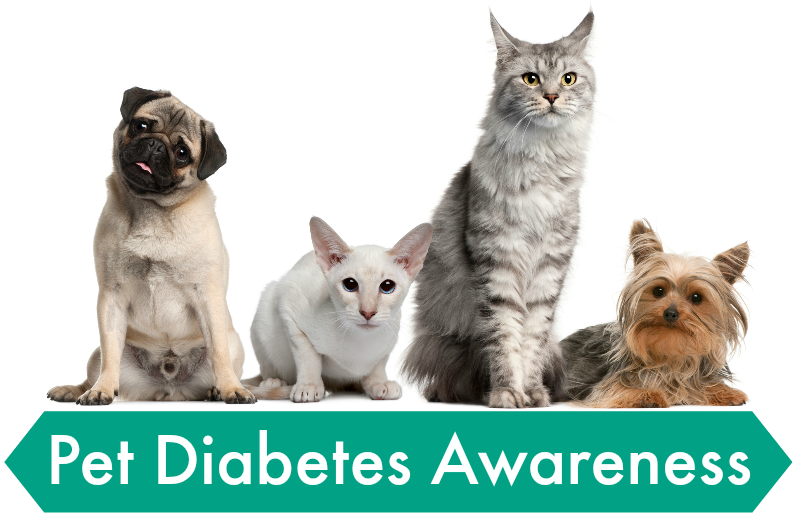 Remember that with proper care and management, a diabetic pet can live a long and happy life. Diabetes is not the end! As always, if you suspect your pet has diabetes you should take them to see the veterinarian. Good information. My sis had a cat with diabetes. It was extremely hard to manage it. I used to cat sit that cat from time to time and it was difficult. Unfortunately, I think it only lived about a year after the diagnoses. thanks for a great post. It's storaged now in my "fist aid folder". I think it's important to notice the signs asap to avoid bad things.. I never thought about pets having diabetes, wow! I like what easyweimaraner said in her comment about placing that in her "first aid folder" I will have to create one of those - nice idea, and great post, thanks. Oh, I had no idea that was this month, thank you! This is great information, as I do not know a lot about diabetes, and it can be so scary too! We never thought much about this until we knew a few cats and dogs that were diagnosed with it. Good post for awareness. One of my friends had to give a kitty insulin injections and he said it was really easy with that kitty. :) He would just come up and give the injection while kitty was eating and kitty never noticed! Yep! 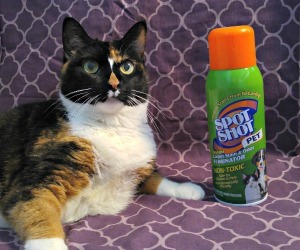 Some cats get so used to it, they know when they receive shots and are ready for it. Of course, I have had to give insulin to a few kitties who were not happy with us before. That was always a challenge. Excellent post, Miss Ann. Diabetes is absolutely manageable, just like in humans! I never would have thought we would be dealing with feline diabetes, but we sure are and we've learned a lot. Great post. I've taken care of about a half dozen pets with diabetes, and thankfully those pets didn't care about getting the insulin injections. It's like they didn't even notice. I'm not sure what it costs to treat, but it seems like it's not outrageous so that also helps. The most difficult part seems to be making sure to give the injections at the same time/s every day. That can get challenging but it's doable. Great information, Ann! So far, we've been lucky not to have to deal with diabetes in any of our pets. We've always been conscientious about keeping our pets' weight under control, so hopefully that has helped.